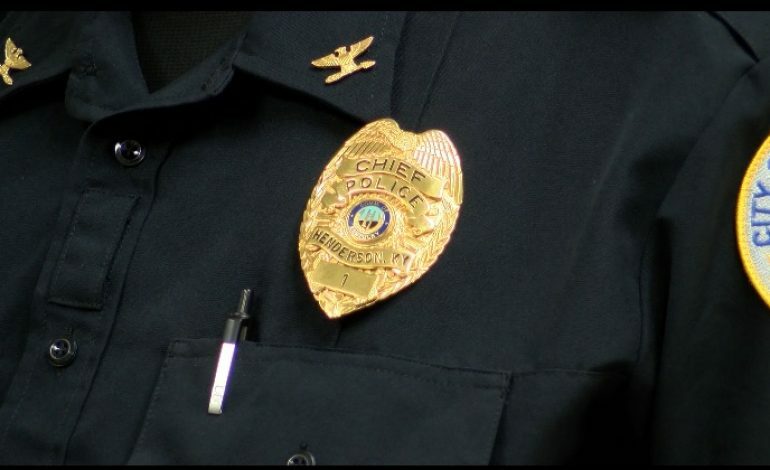 Henderson Police Department officially has a new chief in charge. Heath Cox was appointed by Henderson Board of Commissioners this week. Thursday, Cox was given his chief of police badge during a pinning ceremony. The 17-year veteran says Henderson is his home and he’s committed to keeping the town safe. “It is an amazing feeling. It’s kind of surreal, too. You’ve always thought if you were in a certain position, had a certain seat in the organization, you would make certain decisions. And now, I have the ability to do what I feel is right, and what my convictions are, and what’s better for the department going forward. So, for that, I am excited,” says Chief Cox. Chief Cox replaces Chip Stauffer who retired last November.